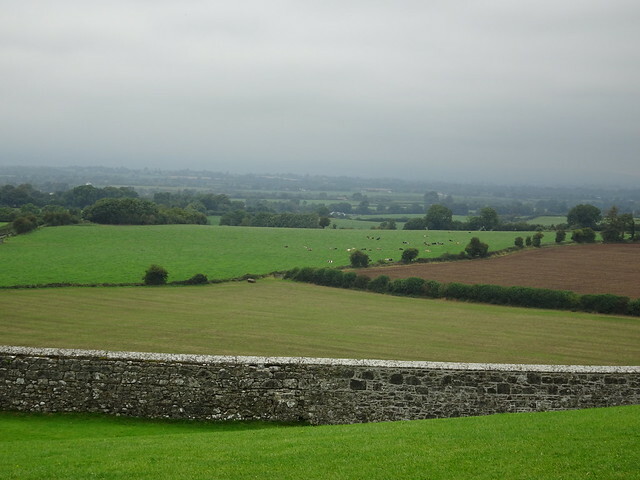 Nothing could get me to drive a car in Ireland, or anywhere where the driving is on the left. My intrepid spouse rose to the occasion. After moments of brain overload, he adapted to shifting with his other hand and staying on the correct side of the road. What is really daunting about driving in Ireland is the width of the roads. Even the N (national) roads can be barely wide enough for a car in each direction - no shoulder, just a stone wall on the side. I learned to close my eyes and tried not to sound too nervous as I leaned in (as if that made a difference). 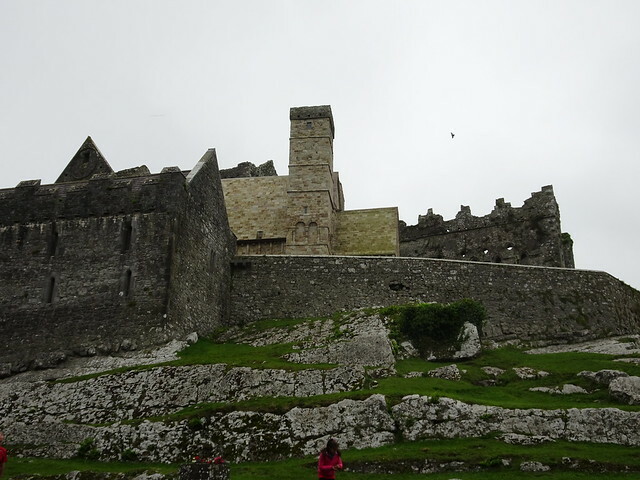 We headed to the Rock of Cashel - also known as St. Patrick's Rock. 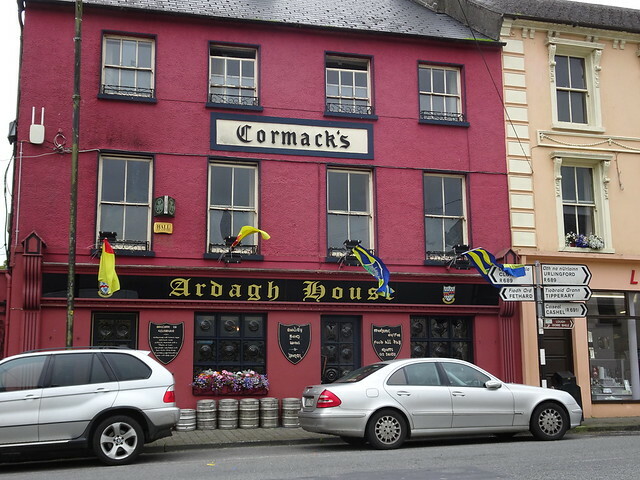 Reputedly the site of the conversion of Aenghus the King of Munster by St. Patrick in the 5th century AD. 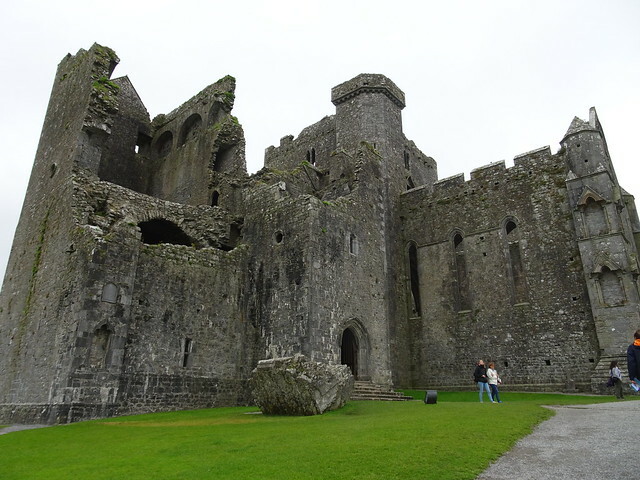 Long before the Norman invasion The Rock of Cashel was the seat of the High Kings of Munster, although there is little structural evidence of their time here. Most of the buildings on the current site date from the 12th and 13th centuries when the rock was gifted to the Church. 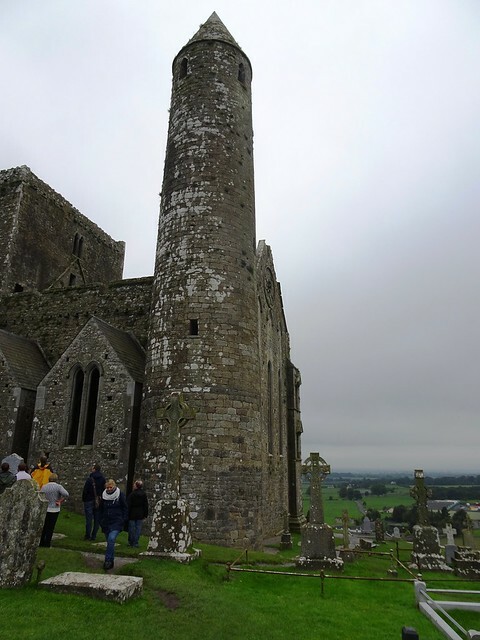 The buildings represent both Hiberno-Romanseque and Germanic influences in their architecture. The view from the top of the hill stretches out even with the mist. 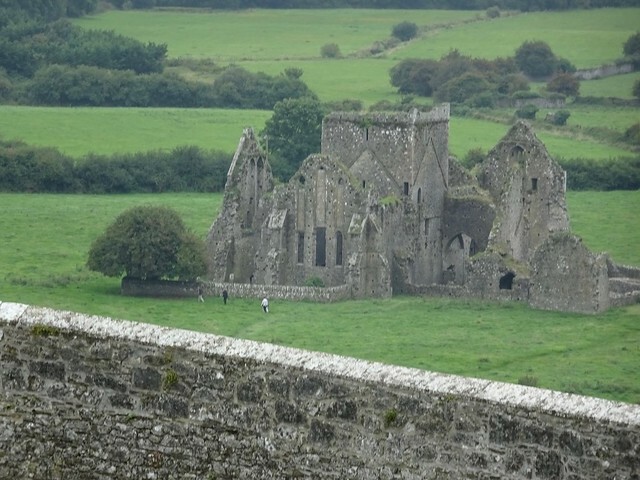 You can also see Hore Abbey, a ruined Cistercian abbey. 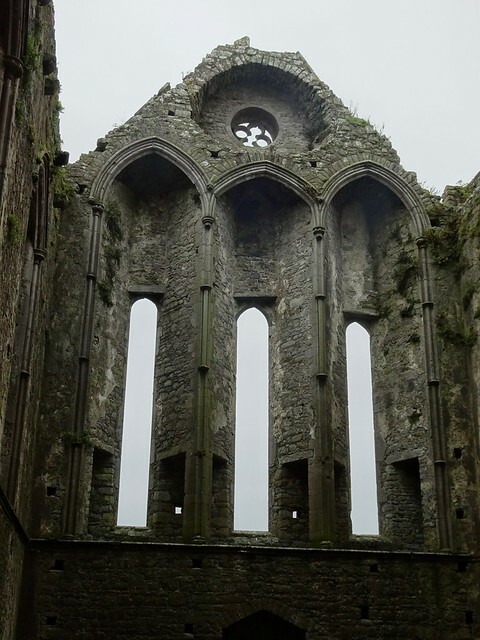 It was disestablished in 1540 during the dissolution of the monasteries in the reign of Henry VIII. The cathedral was built between 1235 and 1270. The round tower is the oldest structure of the complex. It dates from around 1100. 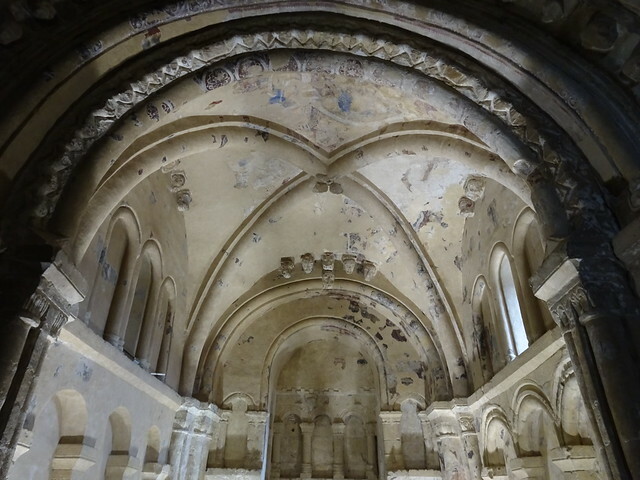 Cormac's Chapel was constructed between 1127 and 1134. There are remnants of the original frescos. As the building was constructed of sandstone, it has become waterlogged over the years and restoration work has begun to try to dry it out. The Rock is surrounded by a high stone wall. The structure is certainly imposing from below. I smiled hearing about the roads in Ireland. We experienced the same thing in NZ. Even after a month of driving there, Bob pulled out onto a 4 lane on the wrong side! Coming back (even though I didn't drive in NZ) my brain had to reprogram. I'm going to enjoy your Ireland trip. I like looking at all the ancient stone edifices. One of our best friends was born in Ireland.